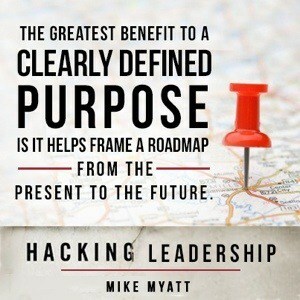 I am honored to share this guest blog post by America’s Top CEO coach, Mike Myatt. Because risk management as it applies to leader decisioning is a subject that is not adequately addressed in the educational world, it is often left to lessons of experience. As such, learning how to recognize, understand, quantify and manage risk is one of those lessons that often come at a very high price. While each individual has a different tolerance for risk, it is how a person chooses to manage risk that will have a direct correlation on their ability to succeed in the world of business. In today’s post I’ll examine the relationships between fear, risk, failure and success. So, what is the greatest fear possessed by leaders? It has been my experience that the greatest fear most professionals struggle with is the fear of failure. It is often times this fear of failure that governs how much risk a business person will take, and in turn how successful (or not) they are likely to become. Fear, in and of itself, is not a bad thing, rather it is how a person chooses to cope with fear that will determine its effect on their life. Ask anyone who has ever been in combat and they’ll tell you that it is their innate and often heightened sense of fear that helped to keep them alive. A good soldier doesn’t give into fear, but they learn to respect and manage their fear so that it actually becomes their ally and not their adversary. Most professionals don’t naturally associate the words “success” and “failure” as having anything to do with one another. However, under the right circumstances, failure is absolutely the best experiential learning tool available. Furthermore, I would go so far as to say failure is an essential element of becoming successful. In fact, if you show me a professional who has never experienced failure, I’ll say that professional either hasn’t tried hard enough or is very new to the world of business. I have a strong belief that fear of failure is far more damaging than failure itself. While successful people overcome their fear of failure, fear absolutely incapacitates unsuccessful people. Over the years I have witnessed business people, who but for being guided by fear of failure, would have likely been very successful. Focus: Focus on your values, vision, mission, strategy, goals, tactics and processes. Clarity of thought and attention to detail will take you where you want to go. Don’t focus on failure; focus on success. Explore: Search out your fears and confront them. Be willing to learn from your fears. I have learned far more from my fears and failures than I ever have from my victories. Introspective thinking is one of the most productive things you can do to advance your learning. Assess:This is your time to innovate…Take stock of what you learn during times of self-assessment, failure analysis, introspective thinking and research. There is nothing wrong with failure assuming that you learn from it, leverage it, and not fall prey to the same mistakes in the future. Respond: Develop a bias toward action…Use focus, exploration, and assessment to develop actionable steps to managing risk and achieving your goals. You can accomplish great things through action and few things through inaction. Bottom line…Don’t be limited by your fears or your failures. The truth is that most fears possessed by individuals are likely self-imposed, and in fact rarely have a factual basis. There is an old axiom that states fear is an acronym for False Expectations Assumed Real. The reality is that most failures are simply stepping stones to future success. Get focused, harness your fears, leverage your fears, and take action. 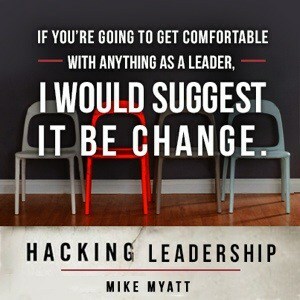 Mike Myatt is America’s Top CEO Coach, recognized by Thinkers50 as a global authority on the topic of leadership, a Forbes leadership columnist, author of Leadership Matters, CEO at N2growth, and is a Senior Fellow at the Gordian Institute. His new book, Hacking Leadership: The 11 Gaps Every Business Needs to Close and the Secrets to Closing Them Quickly, is available on Amazon.